Every now and then you are met with an opportunity to visit a place that you would not have ordinarily chosen as your next vacation spot. That’s exactly what happened to me when I was invited to a friend’s wedding in Denver, Colorado. 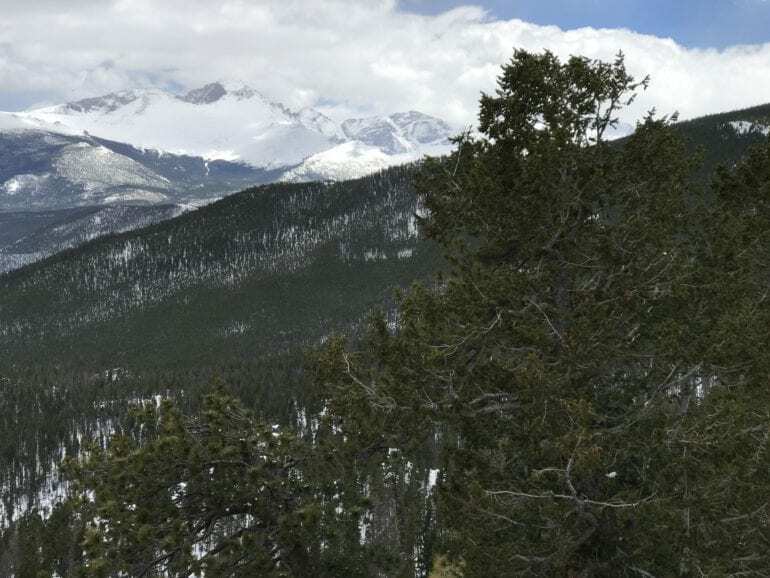 To set the record straight – I always wanted to go to Colorado, I have always had a fascination with mountains and I knew the Rocky Mountains were a site to behold. However, I had other destinations that were higher on wanderlust list. Now that I’ve cleared up the reason as to why I was in Colorado in the first place, let me tell you that deciding to go was the best decision I had made in a very long time. I was in Colorado for a total of five days. The first three days were entirely consumed with wedding events, leaving the last two completely free for me to wander around the state as much as I pleased. In order to traipse around as much as I planned to, I rented a car and hit the road. It was just me and a friend, driving from Denver to the Rocky Mountains National Park. The drive was a (relatively) short hour and a half to Estes Park, where the temperature that would greet us would be a chilly 34 degrees Fahrenheit (2 degrees Celsius). Getting into the park costs $20 a vehicle (up to 7 people) so it is a very reasonable price for everything you are getting in return. You can choose from five different visitor centers throughout the park, we decided to drive to Beaver Meadows Visitors Center. It was at the visitor’s center that we got a map and spoke to a park ranger (yes, a real park ranger with the whole ranger getup) about where we could go on a day trip within the park. After consulting with the ranger we decided to go to Bear Lake and Many Park Curve. 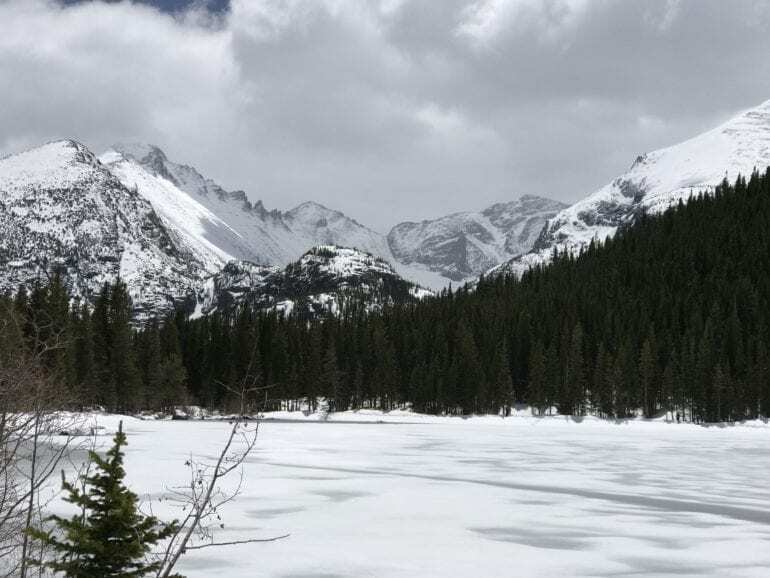 Bear Lake was a short circular hike around a (still) frozen lake, while Many Parks Curve was an overlook that displays several mountain peaks and pretty much takes your breath away, sometimes literally. 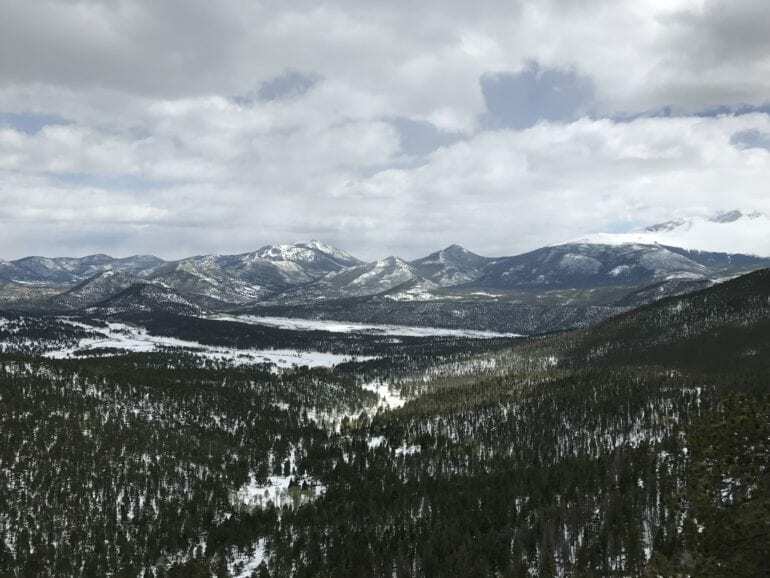 So why should you visit the Rocky Mountains National Park? Because we all need to feel small in the best way possible at least once in our lives… and it is truly some of the best hiking and views you can find. For example, in Bear Lake, walking around the relatively flat terrain of that particular area of the park was exciting due to the fresh powder that was on the ground thanks to a spring storm that occurred a couple of days beforehand. It was also quite a contrast from the giant mountains that were peaking beyond the trees surrounding the lake. Moving on to Many Parks Curve and you will find yourself looking out at several monster of mountains with a dropped jaw and teary eyes. While yes, the teary eyes may be due to the wind in your face, for me, it was from the ridiculous amount of natural beauty I was beholding. If you find yourself anywhere near Colorado, do yourself a favor and go into the Rockies.